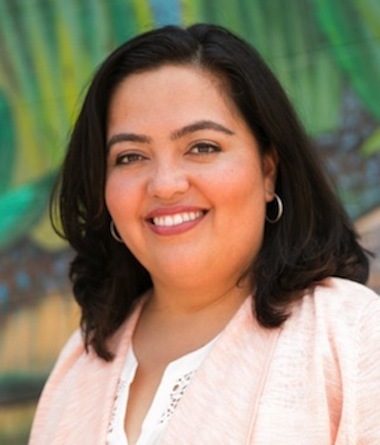 The ballot numbers are not yet official, but it appeared Wednesday that community activist Wendy Carrillo and nonprofit healthcare director Luis López, both Democrats, are the top-two vote getters in Tuesday’s Special Election for the 51st Assembly District. 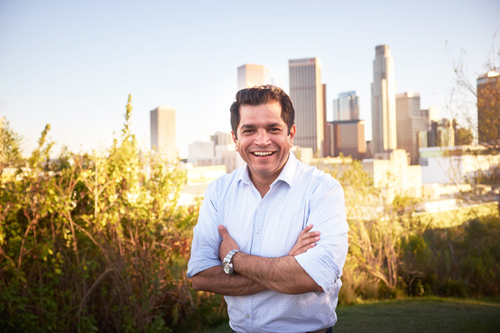 Carrillo had 3,604 votes with all 129 precincts and vote by mail ballots counted, according to semi-official figures released Tuesday by the Los Angeles County Registrar-Recorder/County Clerk. Lopez had 3,283 votes, and was holding a 431-vote lead over Los Angeles Community College Board of Trustees member Mike Fong for the second spot. Fong’s vote count stood at 2,852. No other candidate received more than 2,000 votes. The vote totals could still change as election officials complete the counting of mailed-in ballots that may still be outstanding. An update is expected Friday. The special election was prompted by then-Assemblyman Jimmy Gomez’s election to Congress in a special election June 6 to fill the seat left vacant when Rep. Xavier Becerra was appointed state attorney general. A runoff is required because no single candidate received more than 50% of the vote. That election will be held Dec. 5. The field of candidates in the overwhelmingly Democratic district included 10 Democrats and one member each from the Libertarian and Peace and Freedom parties. Government innovation consultant Patrick Koppula was listed on the ballot without a party preference. Electing a Democrat to the seat will once again give Democrats a supermajority in the Assembly – 55 of 80 seats – one more than needed to pass legislation without a single Republican or Independent vote. As widely speculated ahead of the election, voter turnout was low. 17,310 ballots were processed and counted as of Tuesday, putting the turnout of eligible registered voters at just 7.83%, according to election officials. Carrillo, who jumped into the race following a failed bid for Becerra’s congressional seat, won the endorsements of several women’s group active in politics, including the California Democratic Legislative Women’s Caucus. Assemblywoman Cristina Garcia (D-Bell Gardens), a member of the Caucus, has been working actively to elect more women into office. She, and other women in leadership positions, had publicly lamented the failure to elect a woman to Becerra’s seat, blaming in part the large number of women candidates for fragmenting the women’s vote. Carrillo also received the backing of EMILY’s List, the nation’s largest resource for women in politics, and the National Women’s Political Caucus California. On Wednesday, she received the endorsement of the man whose seat she is trying to win, Congressman Jimmy Gomez. This is López’ second race for the 51st Assembly seat; the first was in 2012 when he came in second to Gomez, racking up just over 19% of the vote. López is a board member of Planned Parenthood and has campaigned heavily on healthcare related issues. Making it into the runoff is the result of “months of hard work” building “a grassroots army of community supporters and small donors,” said López in a statement released Wednesday. The victory comes despite being outspent by six of the other candidates and by “nearly 3 to 1 by his nearest opponent,” the statement adds. The district includes Echo Park, Chinatown, Glassell Park, Montecito Heights, Monterey Hills, El Sereno, Highland Park, Mount Washington, Lincoln Heights, City Terrace, Eagle Rock, East Los Angeles and a portion of Silver Lake. Information from CNS used in this report. 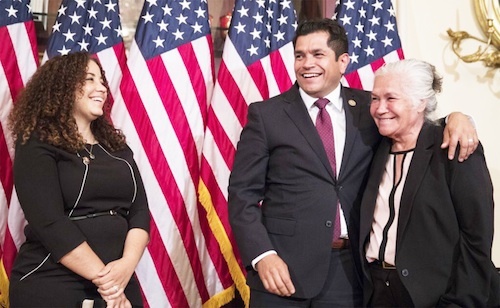 Former Eagle Rock Assemblyman Jimmy Gomez was sworn in Tuesday as a member of the House of Representatives, one month after he defeated public interest attorney and fellow Democrat Robert Lee Ahn in a special election in the 34th Congressional District. The special election was prompted by the appointment of then-Rep. Xavier Becerra, D-Los Angeles, as attorney general, succeeding Kamala Harris, who was elected to the U.S. Senate. Becerra endorsed Gomez, who said ran “to fight” President Donald Trump. “My approach to policy, politics and government is shaped by experiences of my family and of my community,” Gomez said in his first floor speech after taking the oath of office. He also said he supports “universal health care,” recalling that he spent a week in the hospital as a child and it “almost bankrupted my family. Gomez was recently criticized by House Majority Leader Kevin McCarthy, R- Bakersfield, for delaying his swearing-in ceremony for weeks. Some Republicans suggested he was intentionally stalling so he could support Democratic measures pending in the state Legislature. Gomez initially cited family conflicts for the delay in the ceremony, but it soon became clear Gomez was holding on to his assembly seat to help fellow Democrats pass a bill renewing the state’s cap and trade program, which he never got the chance to do as negotiations dragged on into late last week. Gomez was born and raised in Southern California. He graduated from UCLA, then earned a master’s degree in public policy at Harvard University. Gomez was the political director of the United Nurses Association of California and worked with several other unions, and also worked in the offices of then-Councilman Mike Feuer and then-Rep. Hilda Solis. He was elected to the Assembly in 2012, and re-elected in 2014 and 2016. Gomez is the only Democrat to win a special election since President Trump’s inauguration. Gomez’ assembly seat will be filled during a special election, on a date to be set Gov. Brown. As many as 9 candidates have already announced they will run to replace him. Assemblyman Jimmy Gomez will be sworn in as a member of the House of Representatives later this month after defeating public interest attorney and fellow Democrat Robert Lee Ahn in a special election in the 34th Congressional District. Gomez, D-Eagle Rock, defeated Ahn, 60.12-39.88 percent, according to semi-official results released Wednesday by the Los Angeles County Registrar-Recorder/County Clerk. Many outstanding ballots remain to be counted, according to Los Angeles County Registrar-Recorder/County Clerk Dean C. Logan. An update on the ballot count will be released Friday, Logan said. with the Los Angeles County Board of Supervisors scheduled to declare the results official on June 20, Logan said. Both Gomez and Ahn are sons of immigrants. “Our communities came together to say ‘yes’ to progressive, California values. It’s been a privilege to run as your candidate and I am honored to be headed to Washington as your next representative in Congress,” Gomez said in statement posted on his campaign website. During the campaign, Gomez said he ran “to fight” President Donald Trump. “I’ve always believed that in times like these it’s important to run towards the fight and not away from it,” Gomez told City News Service. The assemblyman racked-up the endorsements of a who’s who in state Democratic politics, including Gov. Jerry Brown, Mayor Eric Garcetti, Assembly Speaker Anthony Rendon, Senate Leader Kevin De Leon and Sup. Hilda Solis among others. He also earned the endorsement of the California Democratic Party and Our Revolution, a progressive group with roots in the Sen. Bernie Sanders campaign for president, as well as numerous labor groups. United Farmworker co-founder Dolores Huerta was among those who spent the last days before the election working to get the vote out for Gomez. In the April 4 primary, Gomez topped the 24-candidate field, collecting roughly 25 percent of the vote, with Ahn second with 22 percent. 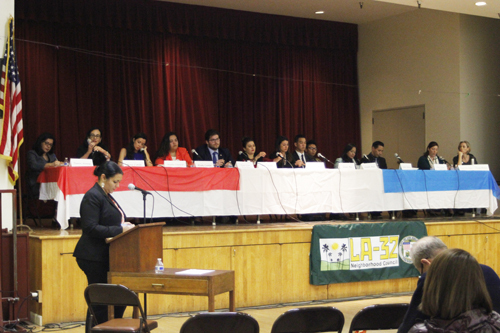 Because no candidate received a majority, Gomez and Ahn were forced into Tuesday’s runoff. The district stretches roughly from Koreatown in the west to the Long Beach (710) Freeway in the east and from the Santa Monica (10) Freeway in the south to the Ventura (134) Freeway in the north. It includes downtown Los Angeles, the Westlake district, Highland Park, Eagle Rock, Boyle Heights andLincoln Heights. Ahn, a Korean American, was looking to break through in a traditionally Latino district, saying there has not been a “Korean voice in Congress” for two decades, “and never from the Democratic Party.” He painted himself as a political outsider not beholden to special interests. 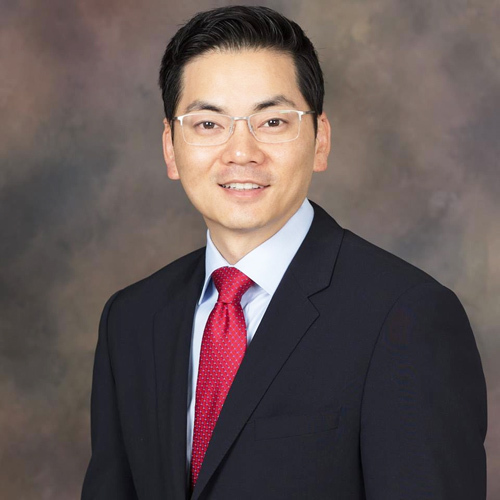 A Los Angeles native, Ahn has a law degree from USC and practiced law for a time before at a variety of Southland firms. He later joined his family’s real estate and asset- management business. Gomez said he spoke to Ahn Tuesday night by phone and “welcomed his congratulations on our victory. I made it clear that his historic run will be remembered and that we will join together to build a stronger Los Angeles for everyone,” Gomez said. Gomez’s victory creates the need for a special election to fill his Assembly seat. Former Montebello Unified School District Board Member David Vela announced Wednesday he will run for the seat. 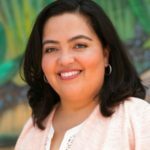 Community advocate and former 34th congressional district candidate, Wendy Carrillo, has also thrown her hat into the ring. Following the April 4 primary, in which over half the candidates running for the congressional seat were women, former state senator Martha Escutia called on women to unite behind a single woman candidate, rather than continuing to split the vote. She and others have suggested backing one of the former candidates for congress. The appointment of Xavier Becerra to become State Attorney General has left a big hole to fill in California’s congressional delegation. It’s especially true now that Pres. Trump has set upon a path that could have some alarming consequences for gains made in the Golden State to protect workers rights, the climate, immigrants in the country without permission, and access to affordable health care. Assemblyman Jimmy Gomez is our choice for the 34th Congressional District. Gomez currently represents much of the district in the State Assembly. When it comes to understanding how government works, we believe he is by far the more experienced of the two candidates in next Tuesday’s Special Election runoff. 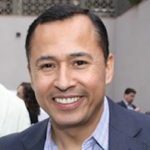 Gomez will have some very big shoes to fill when it comes to replacing Becerra, who after two decades rose to be one of the top ranking and most influential Democrats in Congress before departing for Sacramento. Articulate, serious, with a depth of knowledge on many issues, Becerra was well versed and accomplished when it came to bringing things — resources and money — home for his district and the state. Gomez won’t have the seniority of Becerra, but he has proven he can get things done. He has earned a reputation as a progressive lawmaker, whose record includes the expansion of paid family leave, funding for river revitalization projects, and speeding up the deadline to reduce gas emissions. Gomez pushed for at least 25 percent of the state’s cap-and-trade dollars to go to disadvantaged communities, and for at least 10 percent to be invested in low-income households. We have been impressed by his interest in the needs of the local areas he has represented, such as Pico Union, Highland Park and Eagle Rock. Gomez faced dozens of well-qualified candidates from diverse backgrounds in the Primary Election, and to his credit, a majority have now turned around and endorsed him. A slew of state and local leaders, labor groups and environmental groups have also thrown their support his way. His challenger, Robert Lee Ahn, is smart and thoughtful, and while he and Gomez differ little on some issues, his positions are not as well flushed out as those of Gomez, and he tends to be more conservative on other issues. If elected, Ahn would be the only Korean American in Congress, a reality that has inspired many Korean Americans to register and vote. While that’s impressive, it’s not enough to earn our endorsement. Eastern Group Publications recognizes the potential in Jimmy Gomez. We believe he will be a thoughtful, energetic voice for the 34th District, just as we believed when we endorsed him in his runs for the Assembly. And we have his expanding record in promoting transparency in campaign fund raising, and his present efforts to create for Californians a single payer health insurance program, as evidence of his willingness to take on tough issues. 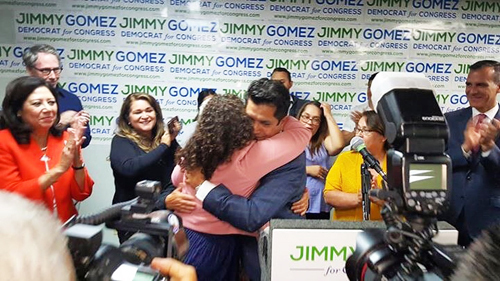 These are hard times for the average middle class and poor American, and we believe Jimmy Gomez is the superior candidate to represent all Californians in Congress. Assemblyman Jimmy Gomez will likely face Los Angeles Planning Commissioner and Attorney Robert Lee Ahn in a June 6 runoff in the 34th Congressional District special election, according to semi-official election results released Wednesday by the Los Angeles County Registrar-Recorder/County Clerk. The seat was left vacant by former Rep. Xavier Becerra’s move to Sacramento to become the state’s attorney general. Gomez and Ahn pulled to the front of the pack of 24 candidates, 19 of them, like Gomez and Ahn, Democrats looking to represent the overwhelmingly Democratic district. 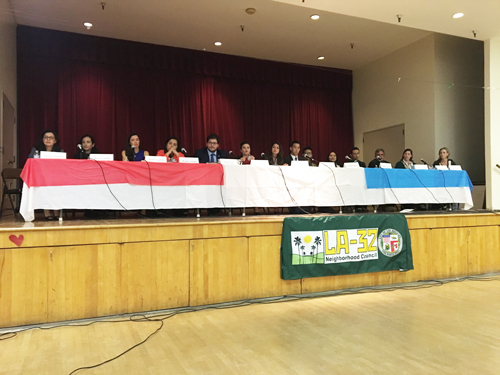 Most of the candidates have never held elective office, with the exception of Gomez and former Los Angeles Unified School District board member Yolie Flores. Gomez, D-Eagle Rock, led the field with 8,156 votes, or 28.14 percent, with Ahn coming in second with 5,504 votes, or 18.99 percent, according to the county’s unofficial election results. Democrat Maria Cabildo, an economic development director, was third with 2,778 votes, 9.58 percent. According to the Los Angeles County Registrar-Recorder/County Clerk, about 13,400 ballots still need to be counted, including questioned ballots and vote-by-mail ballots that were turned in at polling places Tuesday or are received in the mail by Friday – but postmarked on or before election day. The next update of the count is expected to be released Friday afternoon. Because no candidate received a majority, a runoff between the top two finishers will be held June 6. The district stretches roughly from Koreatown in the west to the Long Beach (710) Freeway in the east and from the Santa Monica (10) Freeway in the south to the Ventura (134) Freeway in the north. It includes downtown Los Angeles, the Westlake district, Highland Park, Eagle Rock, Boyle Heights and Lincoln Heights. Twenty-three of the candidates were on the official ballot. The 24th candidate, Michelle Walker, a Democrat and community activist, qualified as a write-in candidate. Her vote total was not available Wednesday. It’s noteworthy that more than half the candidates vying for the seat are women, many who said during candidate forums they were inspired to run following the Pres. Trump’s election, which triggered marches in support of women’s rights across the country. Absent a major shift in the voting trend, it’s unlikely, though not impossible, one of the women candidates will pick up enough votes to move ahead of Gomez or Ahn for a place in the runoff. It’s more likely outstanding votes for a woman will be distributed amongst all the female candidates. The apparent failure for a woman to make it to runoff now has some political advocates looking to replace Gomez in the Assembly, should he be elected, with a woman. “Am I naive to hope for this?? I sincerely hope that Assemblyman Jimmy Gomez endorses a woman to replace him in the State Legislature!” she wrote Wednesday. Also coming up short were candidates with ties to Sen. Bernie Sanders’ campaign for president. It was initially thought those ties could play in their favor in the congressional district because Sanders won the majority vote over former Secretary of State Hillary Clinton. But with semi-official election results putting the voter turnout at about 9 percent, some political observers are questioning whether the fervor seeing during the presidential campaign can be sustained. El asambleísta Jimmy Gómez probablemente se enfrentará con el Comisionado de Planificación de Los Ángeles, Robert Lee Ahn, en las elecciones especiales de desempate, del 6 de junio, que elegirán a quien representará al Distrito 34 en el Congreso. Gómez, D-Eagle Rock, lideró la primera ronda de elecciones, el 4 de abril, con 8.156 votos y su compañero demócrata, Ahn, quedó en segundo lugar con 5.504 votos, según los resultados semioficiales publicados el 5 de abril por el Registrador del Condado de Los Ángeles. A partir del miércoles, 5 de abril, Jimmy Gomez obtuvo un 28.14 por ciento de los votos a su favor. La demócrata María Cabildo, directora de desarrollo económico, quedó en tercer lugar con 2.778 votos, un 9.58 por ciento. Debido a que ningún de los 24 candidatos postulados en la primera ronda recibieron la mayoría de votos, una segunda votación es requerida entre los dos primeros lugares, programada para el 6 de junio. Se espera que el Registrador del Condado de Los Ángeles anuncie, el viernes por la tarde, las cifras finales ya que unos aproximados 13.400 votos, enviados por correo y de boletas provisionales, aun quedan sin contar. La elección especial fue motivada por el nombramiento del entonces Representate, Javier Becerra como Fiscal General, sucediendo a Kamala Harris, quien fue elegida al Senado. El distrito se extiende aproximadamente desde Koreatown e incluye el Centro de Los Ángeles, Westlake, Highland Park, Eagle Rock, Boyle Heights y Lincoln Heights. Veintitrés personas aparecieron en la boleta electoral, 19 de ellas eran demócratas buscando representar el distrito abrumadoramente democrático. A partir del miércoles, 5 de abril, Robert Lee Ahn obtuvo un o 18.99 por ciento de los votos a su favor. La mayoría de los candidatos nunca han ocupado cargos electorales, con la excepción de Gómez y la ex-miembro del concejo del Distrito Escolar Unificado de Los Ángeles, Yolie Flores. Flores terminó en noveno lugar con 1.027 votos, o un 3.54 por ciento. Michelle Walker, una demócrata y activista comunitaria, calificó como candidata por escrito. Su total de votos no estaba disponible a partir del miércoles. Becerra respaldó a Gómez, y dijo que espera “continuar construyendo un inclusivo y diverso país que valore a las personas de todos los ámbitos de la vida”. Aunque el presidente no estuvo en el salón, su presencia fue dominante, mientras que los aspirantes al Congreso se esforzaron para convencer a una audiencia en El Sereno de que tienen la capacidad de representar sus intereses en la era de Donald Trump. Catorce de las casi dos docenas de candidatos que se postularon para el asiento número 34 del congreso, dejado vacante por Xavier Becerra al aceptar el puesto de Fiscal General del Estado, participaron en un foro el 28 de febrero en el Centro de Ancianos de El Sereno. La posición vacante se llenará durante una Elección Especial el 4 de abril. Sin embargo, si ningún candidato recibe el 50% más 1 de los votos, una segunda ronda se producirá entre los dos primeros el mes de junio. El Distrito 34 del Congreso abarca algunos de los barrios más diversos étnicamente y densamente poblados de Los Ángeles abarcando áreas desde Boyle Heights, hasta el centro y el noreste de Los Ángeles, Koreatown y el área de Westlake. Aclamaciones y aplausos a menudo interrumpen a los oradores en este tipo de foros, pero las docenas de personas que se reunieron la semana pasada parecían más decididas a escuchar los temas que se discutían en lugar de alentar a los candidatos. Perceptiblemente ausente estuvo el asambleísta demócrata Jimmy Gómez, al quien algunos han catalogado como el favorito y es el candidato favorecido por el establecimiento del Partido Demócrata. Moderadora, Aziza Hasan, junto con los candidatos que participaron en el foro que tomó lugar en el Centro de Ancianos de El Sereno. (Foto de EGP por Nancy Martínez). “Algunos candidatos no se presentaron”, le dijo a la multitud el empresario Ricardo “Ricky” De La Fuente. “Espero que consideren a los candidatos que si se hicieron presentes”. La campaña de Gómez dijo que el asambleísta tuvo un conflicto con su horario. Casi todos los candidatos describieron cómo la reciente elección presidencial los motivó a postularse para el cargo. Mientras trataban temas como la inmigración, la atención médica y la economía, fue claro que el enfoque era convencer a los presentes de la capacidad de cada uno de enfrentarse a Trump y al Congreso controlado por los republicanos. “Necesitamos a alguien que sepa cómo luchar, cuándo luchar y cómo ser eficaz”, dijo Vanessa Aramayo, una consejera sin fines de lucro contra la pobreza, después de describir su experiencia con la política pública y la organización comunitaria. Para algunos de los candidatos, como la ingeniera aeroespacial Tracy Van Houten, el deseo de correr fue impulsado por los nombramientos de Trump a su Gabinete. “No pude quedarme de brazos cruzado y ver lo que Betsey DeVos hará con nuestro sistema de educación pública”, dijo, antes de exponer su experiencia de trabajo con exploradores en Marte. Quienquiera que sea elegido deberá estar listo para pelear, dijo Alejandra Campoverdi, una defensora de la comunidad multicultural y ex ayudante de la Casa Blanca. “Necesitamos a un candidato que llegue a la superficie”, dijo. “Entiendo a Washington, conozco la Casa Blanca”. Raymond Meza, coordinador del Sindicato Internacional de Empleados de Servicio Local 721, describió cómo logró reunir el apoyo para un aumento en el salario mínimo. Él argumentó que no basta con remolcar la línea del Partido Demócrata, porque “si eso es todo lo que van a hacer, nada se logrará”. “Tenemos que sentar las bases para sacar a Trump y asegurarnos de que no perdamos todo lo que hemos logrado en la última década”, agregó. Haciendo hincapié de las recientes órdenes ejecutivas del presidente sobre la inmigración, varios compartieron sus historias personales de crecimiento con padres inmigrantes o sus experiencias propias como indocumentados. Ellos dijeron que el tema es personal para ellos al igual que la gran población de inmigrantes indocumentados del distrito. “Nuestra comunidad está definitivamente bajo ataque, necesitamos un luchador, pero eso no es suficiente”, dijo Sara Hernández, directora de la organización sin fines de lucro Coro Southern California. “Necesitamos a alguien con una trayectoria”. La periodista y activista comunitaria Wendy Carrillo emigró sin permiso a Estados Unidos escapando de la guerra civil en El Salvador y más tarde se convirtió en ciudadana. Ella advirtió que las recientes redadas de la Agencia Aduanal de Inmigración (ICE) ha causado que muchos inmigrantes le teman a la policía. “Necesitamos asegurar que la financiación federal no se use para darle a las autoridades locales la jurisdicción para actuar como agentes de ICE”, dijo Carrillo. María Cabildo, directora de desarrollo económico del condado de Los Ángeles, agregó que las redadas están afectando negativamente a la economía. “Ya estamos viendo el impacto en nuestra comunidad”, dijo Cabildo. “La gente gasta menos”. “Durante la presidencia de [George W.] Bush vimos ejecuciones hipotecarias en nuestra comunidad, que podrían volver a ocurrir”, ella advirtió. Campoverdi comparó el miedo que se está viendo a la experiencia después de la aprobación de la Proposición 187, que habría prohibido a los inmigrantes indocumentados a recibir beneficios públicos, pero fue mayormente bloqueada por los tribunales. “Es por eso que necesitamos presionar políticamente, para sentar las bases a una reforma migratoria no sólo a una curita” ella dijo. Kenneth Mejía, un contador público certificado y el único candidato del Partido Verde, le recordó a la multitud que millones de personas fueron deportadas bajo la administración de Barack Obama. Él dijo que está en contra de las políticas fronterizas de Trump: “Si podemos abrirle las fronteras a compañías multimillonarias, debemos abrírselas a la gente”, dijo. “Necesitamos aprobar un ‘Dream Act’ moderno”. Como inmigrante, Sandra Mendoza ahora administradora pública, llegó a los Estados Unidos como una menor no acompañada y pidió que se alojen temporalmente a los niños separados de sus padres durante tales incursiones. Steve Mac, un fiscal criminal y oficial militar, sugirió recortar los fondos de ICE para limitar las deportaciones a criminales violentos. Él dijo que la desaceleración de las audiencias ante los jueces obligaría a ICE a priorizar a quién deportan. El plan de Trump de “derogar y reemplazar” la Ley del Cuidado de Salud de Bajo Precio también debería ser una prioridad para cualquiera que sea elegido, dijeron los candidatos. “La atención sanitaria debe ser un derecho y no un privilegio”, subrayó Carrillo. Tenaya Wallace, un estratega de compromiso cívico, dijo que el terminar con Obamacare perjudicará a muchos en el Distrito 34 y cualquiera que vaya a Washington D.C. debe ser capaz de abogar por ellos, prometiendo que ella “se mantendrá firme” en la abrogación de la ley. “Tenemos que retomar el debate sobre este tema”, dijo Mesa, agregando que reuniría a la gente para asistir a las asambleas de los legisladores como una manera de mantenerlos responsables. Hernández catalogó la carrera una inversión en la próxima generación de líderes y en alguien que defenderá los valores de la comunidad. Van Houten dijo que tiene la pasión de una madre y el impulso de un ingeniero para enfrentarse a Trump. El escuchar a Trump insultar a su herencia cultural fue suficiente para prepararlo para enfrentarse con el presidente, dijo el empresario William Rodríguez-Morrison, el único republicano en la carrera. “He luchado por esta comunidad cuando llevaba mi chaqueta de Franklin [High School] y quiero luchar por usted”, prometió. “Pondré a [Trump] en su lugar”. Mac dijo que ha estado luchando toda su vida, como fiscal en la corte y en las zonas de guerra. “Es hora de devolverle el poder al pueblo”, dijo Mejía, la candidata más joven. Para Carrillo, hay una necesidad de crear un movimiento que traiga el cambio en 2018, cuando las elecciones intermedias puedan poner en juego el control del Congreso de nuevo. “Ahora más que nada es importante que alguien como yo ocupe el cargo, ya que entró como periodista en estos tiempos en que la prensa está siendo expulsada de la Casa Blanca”, dijo a EGP. Antes de renunciar, Becerra era el latino de rango más alto del Congreso, sirviendo como presidente del Caucus Demócrata. Aziza Hasan, moderadora de la noche, le recordó a los candidatos: “Se enfrentan a un gran reto al reemplazarlo”. La legislación destinada a cambiar la forma en que el estado regula y controla a sus instalaciones como la clausurada planta de Exide Technologies en Vernon, fue introducida a la Asamblea Estatal el martes. Los miembros de la asamblea, Cristina García (D-Bell Gardens), Jimmy Gómez (D-Los Ángeles), Eloise Gómez Reyes (D-San Bernardino) y Miguel Santiago (D-Los Ángeles) presentaron el AB245-249, un paquete de cinco recomendaciones hechas por el Panel de Revisión Independiente del Departamento de Control de Sustancias Tóxicas. La legislación trata una serie de cuestiones en la agencia reguladora, desde la obtención de fondos y el otorgamiento de permisos hasta el cumplimiento y el alcance público. “El objetivo de este paquete legislativo es tener un Departamento de Control de Sustancias Tóxicas más transparente, responsable y receptivo para que las comunidades sean más seguras y saludables en todo California”, dijo el presidente de la Asamblea, Anthony Rendón, en un comunicado en el que anunciaba los proyectos de ley. La Asamblea 245, redactada por Gómez, tiene como objetivo el endurecer los requisitos del aseguramiento financiero de las instalaciones de residuos peligrosos. Esto, con el fin de asegurar que reserven los suficientes recursos monetarios para cubrir el costo de limpieza de cualquier contaminación que causen. El proyecto de ley también requiere que DTSC lleve a cabo audiencias públicas en las comunidades afectadas cuando una institución solicite la renovación de su permiso. AB249, también redactada por Gómez, aumenta el número máximo de penas que el DTSC pueda evaluar a causa de infracciones para coincidir con el número que pueda ser emitido por los reguladores federales. Los proyectos de ley son una clara respuesta a las críticas del público acerca de cómo el DTSC manejó el problema de Exide. La planta operó durante décadas con un permiso temporal, mientras acumuló docenas de residuos peligrosos y violaciones de emisiones tóxicas de aire. Exide cerró en 2015, sin embargo la limpieza de la planta y de las comunidades circundantes contaminadas con el plomo ha sido lenta, obstaculizada por la falta de fondos. “Estas dos medidas nos ayudarán a evitar otro desastre tóxico como el que experimentamos con Exide”, dijo Gómez. EGP intentó comunicarse con DTSC para hablar sobre el paquete legislativo que muchos dicen es respuesta al manejo inadecuado de la agencia pero DTSC dijo que no comenta sobre legislaciones pendientes. En su informe publicado el 20 de enero, sin embargo, el Panel de Revisión Independiente reconoce que el departamento de regulación química tóxica ha mejorado su forma de operar. “El IRP cree que el Departamento tiene un mejor dominio sobre su recuperación de costos a comparación de los años previos y ha puesto en marcha una base sólida para el futuro”, explica el informe. El paquete legislativo también asume la cuestión de el por qué se permiten instalaciones como Exide y otros productores de residuos tóxicos. Para evitar que otra instalación de productos químicos peligrosos logre operar con un permiso temporal, como lo hizo Exide durante décadas, el AB 248 requiere que las instalaciones completen sus solicitudes de renovación de permisos dos años antes de que se expiren. Reyes dijo que su proyecto de ley reformaría un “proceso agotado que ha permitido que las instalaciones de residuos peligrosos sin revisiones adecuadas sigan operando”. Si se convierte en ley, la legislación de Santiago intensificará el monitoreo del aire alrededor de las instalaciones de desechos peligrosos. De acuerdo a Santiago, AB246 promovería el uso del vallado perimetral por los poseedores de permisos de las instalaciones de residuos peligrosos. García, quien consiguió que se aprobara una legislación que agrega una tarifa a cada batería de ácido-plomo vendida en el estado para ayudar a pagar por la limpieza de la contaminación, ahora ha propuesto la ley AB247. La ley busca crear una fuerza de trabajo estatal que revise y modifique las políticas existentes para reducir el envenenamiento a causa del plomo en el estado. “Exide fracasó gracias a varios niveles del gobierno, durante un largo período de tiempo”, dijo García, reconociendo la necesidad de una revisión y supervisión más estricta de las agencias estatales. Se espera que los proyectos de ley tengan su primera audiencia durante el mes de marzo.